If you are looking for the secret sauce on how to grow website traffic using social media, there is NONE. There are no mind-bending tips here to chase social traffic. What the following tips mean is that YOU (yes, you) can do it. Growing traffic to your site using social media is all wrapped in lots of patience, sheer hard work, attention to mundane details and an eye out for other opportunities to drive traffic back to the landing page. The right way. So how did we manage to help this tech startup client’s social media web traffic soar to 1,161%? Oh, it even surpassed web traffic brought by paid ads! One thing I can tell you, we are not magicians, for sure. But if you like social referral traffic, that – we can help. This article is the last part of the tips on using social media to grow website traffic. That article (first part) is all about preparation; this article is on the many tedious details that we do and check. How do you figure out the “your-audience-like” part? You do not need a crystal ball for this. You can use social analytics that is available at your fingertips. Note, however, before your head spins when staring at ANY data (because there will be LOTS), only look for the KEY METRIC for you. In this instance, if we are trying to use social media’s traffic referrals, then I’d look at clicks and visits. Look for posts with a high engagement rate. High engagement rate is like your follower telling you, “I learned from this.” “Bring it!” Alternatively, “Hey, ROTFL that was too funny!” Right THERE is an implied message that it is the type of post you may want to consider posting. Go to Facebook Insights to see the engagement rate. Looking at this data, Facebook engagement rate and type of posts are one of the metrics that we check. UPDATE: Although Google+ Insights data is no longer available to us Google+ users, the post format engagement for these types formats is consistent with other platforms. Google+ Insights is not as rich as Facebook’s. I would test the type of format that gets more engagement. Like the image below, what type of post do you think would we be sharing often? Although the report is already gone, from micro-testing that we are doing, images still get a lot of engagements. Check the tweets that are getting a lot of engagement by going to Twitter Analytics’ dashboard. Look at the highlights section about what your followers love. Also, check the engagement rate. 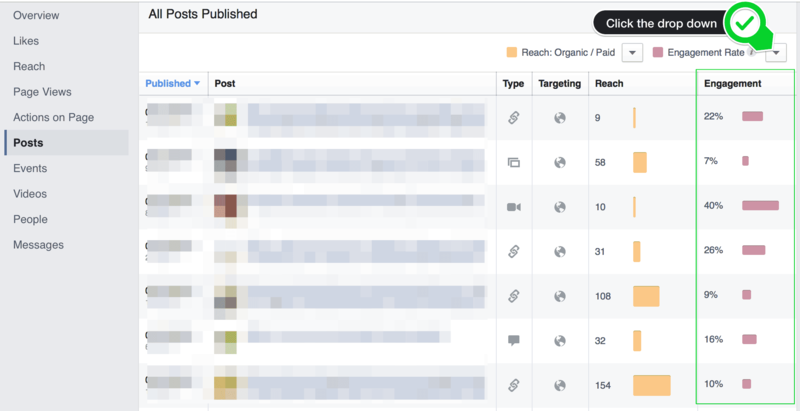 On SproutSocial, under reports, you can check what gets most clicks and engagement. Check what is often pinned. Pinterest has rich analytics that you can use to your favor. For the above tips, note that data is a moving target. It is not set in stone. It changes so check it regularly. The link does not have to be your homepage, use a link to your favorite landing page – like a freebie, or a promo code. On Instagram, the only spot where you can add a hot link is the profile. Does that mean that you should not add a link to the description section? Well, you can if you like but it will not be an active link. Keep your link short and memorable, if you are going to leave it in the description. Not like this: thisismywebsite[dot]com/gohere/likeit/download/please/123y708uyh/soclicknow. Also, this is not an ideal website link structure for you if you are measuring traffic to your site: yourwebsite[dot]someoneswebsite[dot]com. The social traffic count goes to someoneswebsite[dot]com. That kind of link will not help you if one of your goals is to grow website traffic to your site using social media. However, if a link to your site is embedded in that page then, by all means, share away! I am not referring to your bio. On Facebook, did you forget the description section of your Facebook cover page? I have seen Facebook business pages forget this part of their Facebook cover page post. See how LMTOnsrud did theirs? It is PERFECT. Crisp cover photo with a link to their website. THAT part many of us do well. What LMTOnsrud did that many of us forget is THIS: check above image. Do you see where the green arrow is pointing? They added a description, a link to their landing page, contact details, and CTA. Add a link to your landing page. The URL you write on your cover photo is NOT clickable. Therefore, it is essential to add it in the description of the cover page post. Add a call to action as well. Don’t go yet we aren’t done! Do not confuse follow buttons with the social sharing buttons on your site. One is different from the other. “D’oh,” you say. But I have seen businesses that are having only the follow buttons but not the social sharing buttons. Wait a minute, aren’t we supposed to drive people TO the website FROM social media, instead of the other way around? This may seem contradictory to what this blog is about; but why in the world am I saying this? You see, this tactic works two ways. 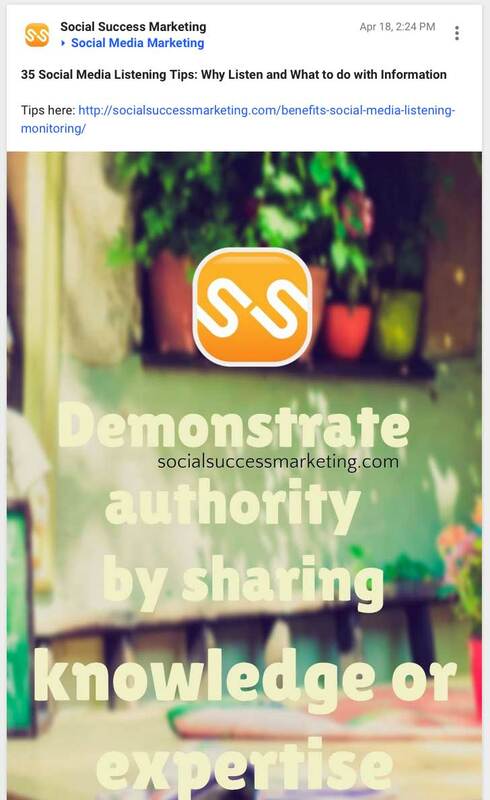 When people visit your site, they might see a post they would like to share with THEIR followers. How could they share it if you do not have social sharing buttons on your site? I’d highly recommend that you install the social share buttons if you haven’t done this yet. You don’t have to enable all the buttons. Just choose the ones where you want your content shared and seen. As an example, if you aim to share three posts per day on Facebook, make sure that you have at least one post that is coming from your site. As an aside you might ask, “How MANY links from your website should you post consistently?” There is no perfect answer. There are variables that we check like usefulness, volume, relevance, your time (your consultant’s time) and more. Test the performance of the post. You will know if/when you check data. Also, check tip number 7 below about timing. When I say re-purpose, I do not necessarily mean cross-posting it. When sharing the SAME content (page, sub-page or blog) from your site, create different copies in different formats. Repurposed post for social media with image optimized for platforms like Pinterest and Google+. Click to tweet. Get a quote from your blog that is relevant. Social media platforms: Twitter, Google, Pinterest, LinkedIn, Instagram, Facebook. Also, note to optimize image size to specs of the platform because it varies. Social media platforms: Pinterest, Google, and other platforms. You can even go further by slicing and dicing the infographic into several sections to share to other platforms. Social media platforms: Slideshare. Also, you can slice and dice it to different images. Social Media platforms: YouTube, Vimeo, and Facebook video. You can even convert your slides to a video. There are so many possibilities to re-purpose content to grow website traffic using social media, right? When sharing the SAME post from your website to the same social media platform, scatter it within the day, and pre-schedule it for the next few months. If you are posting social content within the same day, post it in segments of time. Say, morning, afternoon, or nighttime. This, of course, is much easier to do on Twitter and Pinterest if you use tools that would enable you to pre-schedule posts. Did you forget your email footer? For your marketing slicks (list or brochure), my suggestion is to put only the logo of the social media platforms [a lot of businesses do this] in the marketing slicks if the company name and social media name is the same. If it’s not the same, pick one social media platform and add a short name/link next to the social icon. All of the above tips are organic. This tip is not. You can only do so much to boost social traffic in the organic way. Compliment what you are doing with a social media ad. Social media is pay to play now. You may be thinking that you are not paying anything because you are doing it yourself. However, isn’t your time money? Of course, you know that, don’t you? You can either hire *cough* someone like us, or do this yourself with some coaching. Don’t just drop a link for the sake of dropping a link to grow website traffic using social media. This is one reason why we have to check data (see tip number 1) to figure out what they want. Your audience can help move the needle to get clicks and engagements if you give them the content that they like. If you are trying to grow website traffic using social media by yourself or even if you have hired a consultant, understand that this is not a quick process. That’s why at the beginning of this article I wrote patience FIRST. If you are one of those businesses that need help to grow website traffic using social media, check out how we can help you with our services and give us a call when ready.